Want to emulate the feeling of your favourite links course? This abstract depiction of old St. Andrews is a golfer's dream pool table light fixture! 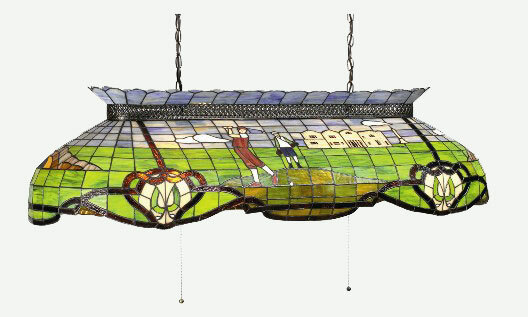 This intricately detailed stained glass fixture is as beautiful as would adorn the finest of parlours. Gracefully scalloped with rounded ends, this table light is a one of a kind work of glass art.